Set Smith Ltd carry out all aspects of modern set building using a vast array of materials, from traditional set building techniques to incorporating modern speed line systems used in construction today. We build from a single flattage to (at present) a 17th century village/settlement complete with stockade! One off prop builds, and location works. With over 120 years of experience in set construction between the 4 core team members, we can help you bring your designs and ideas to fruition quickly, calmly and to budget. 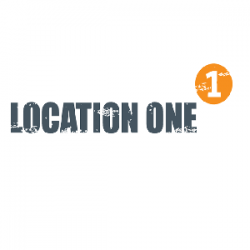 Location One is a nationwide firm providing around-the-clock location supplies to film and TV productions across the UK. Designed to support the last minute demands of Production and Location departments, Location One offers a range of ﬁeld tested products available for sale or hire. Its team consists of ex-Location Managers who share years of ‘on-set’ experience of the pressures and demands of ﬁlming on location. Location One’s full range of production services includes power (generators, distribution solutions and fuel management) lighting (the largest fleet of tower lights in the industry and the second largest supplier of Eco lights in the UK), heating, cool air, bowsers, trackway, transport, shelters, health and safety, protection materials and tape, housekeeping, unit managers day to day equipment, costume / make up rooms fit out, waste and recycling solutions and unit sign production. 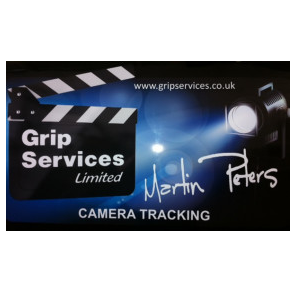 Grip Services has an established history of providing professional grips and well equipped grip vans to the film and television industry. We are also suppliers of tracking vehicles to include Artic Low Loader, A-Frame and Motorcycle Tracking Vehicle, Kawasaki Mule and sit on/pull Rickshaws. Our aim is to provide a reliable, professional and competitive service.